Comfortable and light-weight design: the tent mat weights only 965g for easy carrying. And it is made of 20D nylon featuring light-weight, skin-friendly and heat insulation. Heat dissipation and anti-skid grooves: the whole body adopts groove design to allow natural air flow in so as to avoid sweating in hot summer. 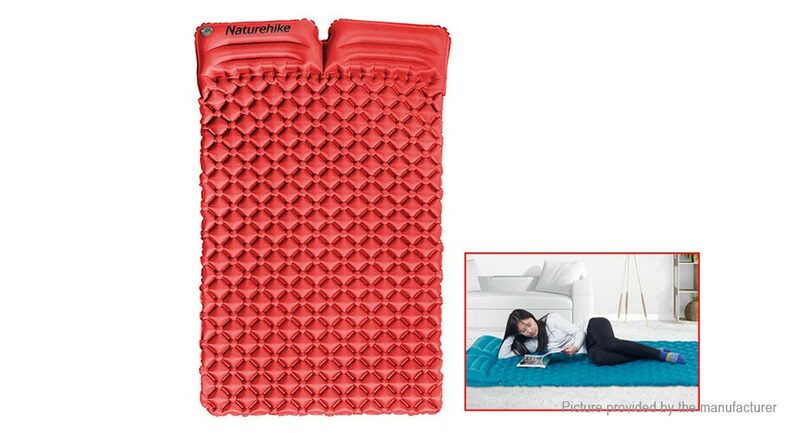 Moisture-proof and waterproof: thicken and high quality material improves the waterproof capacity of the pad. So it will provide a comfy experience for your camping trip.